Vista Villas is a very clean property, has beautiful views of the ocean, quiet and is in a great location. I want to thank you again for doing such an amazing job accommodating us so quickly and efficiently when we were looking for housing during our entry to St. Kitts. I have rented from Remax for the past year. I have to say that the service has been excellent both in and out of the office. The property was very well maintained and tastefully furnished. We hardly had any maintenance issues but when we did Remax and Alex always showed up in a big way. I felt safe and secure and truly appreciated the attention paid to our needs when necessary. If you are considering moving to St. Kitts or are moving around on the island I would highly recommend the great staff and management at Remax St. Kitts! I’m telling everyone about you guys. You guys are totally easy to work with. You guys were beyond fair, kind, flexible with dates and arrangements and punctual to respond to questions. Manor by the Sea is a nice place, great location! Christina was a wonderful host. Whenever there was an issue she resolved it right away. The condo is in a nice quiet neighborhood with a lovely view of the ocean. Comfortable place to stay for vacation or even if you have to live for a couple of months. Thank you for hospitality and the place was wonderful! Hopefully we will be back again. Christina and her team were absolutely excellent to work with. She was prompt in answering all of our questions and our check in/check out process was smooth and simple. The apartment was clean, comfortable and very quiet. The apartment was nicely furnished and had fresh linens, cookware and even beach towels for our use. Parking at the building was easy and convenient. And Christina even left us a letter of welcome with some island recommendations and some breakfast items as we arrived very late in the evening. So kind and thoughtful! Christina, We had a lovely stay on St Kitts! Thanks to you and Christoph for your speedy communication - especially at our check in, when my stupid phone was being so uncooperative. The space was lovely, clean and quiet; just what we'd hoped for! Thank you again! Thank you again for your help getting the apartment. It's a great place and amazing view....Stay in touch and if we do continue in St. Kitts, I hope the place will still be available! Great location with extremely amazing views of the Atlantic Ocean and the Caribbean Sea. Also very close to the beach near all the bars, restaurants and fun spots. We had an amazing time and would definitely stay there again! Thank you Christina, Jason and Alex for being great host. Your support was sincerely appreciated and the condo is gorgeous! We had a blast! We were looking for a lower cost place to stay with a view of the ocean and this gave us what we wanted. A clean one bedroom condo on the second floor in a newer building that was fit the bill for us. Close to good restaurants and beaches, it was exactly as advertised in the photos. Christina communicated well with us and made our arrival go smoothly. She gave us her favorite restaurants and beaches which were helpful and spot-on. I highly recommend Christina to get you off to a smooth start to your vacation. Thanks a lot christina really appreciated...Please let me know so I could make the arrangement to sign the new contract with you, really appreciated all the things you've done for me. We really enjoyed staying with you guys. Hopefully we will make it back to St. Kitts sometime soon! 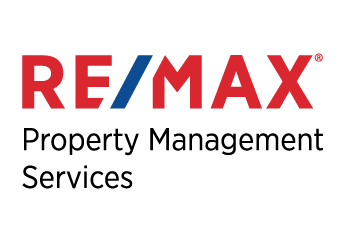 The whole staff at Remax St. Kitts has been incredibly helpful and made the transition of moving to St. Kitts for school completely seamless. The apartment at Vista Villas is perfect for me as a student, has an amazing view, and the whole complex is very well maintained. I highly recommend Remax St. Kitts when looking for a place to stay on the island. 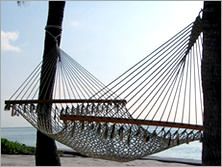 Vista Villas is one of the best places to stay on the island! Thank you for being an amazing host. I will definitely return! I have recently just spent 7 months living at Vista Villas. They are conveniently situated close to many amenities, and the apartments come fully furnished and equipped; clean, quiet and with amazing cliff-top views. A no hassle rental with internet, electric etc. all included in the price. I would have no hesitation renting a Vista Villa again. We’ve had such a great experience living at Manor by the Sea and renting through the wonderful team at ReMax. I've enjoyed my stay here at Vista Villas and I'll recommend it highly to any one I know coming to St Kitts. Everything was great. Communication, care, the extra amenities provided were extremely thoughtful and came in handy. Def recommended! This is my second time staying here at Manor by the Sea and I'll stay here again if I can. I definitely recommend it and I've stayed in dozens of properties in St. Kitts. Thank you so much for everything during my stay in St. Kitts. Manor was beautiful and you guys have been wonderful! I wanted to mention again that you have a wonderful place and if we come back to visit again we will definitely contact you. We want to sincerely thank you for your service. It’s in a quiet area but still close to the beach bars. Loved the view and the apartment was immaculate. I would rent here again next time we fly back to St Kitts. Speaking about Manor by the Sea - the place was amazing!!! I've enjoyed my stay at Vista Villas and I will miss waking up to the Caribbean Sea and the sounds of waves crashing. I always feel safe and the staff is always available if I have a concern. Thank you for support since we have been here, we are going to miss the island!